Over the last 12 months we have received an increasing number of boards in our pooling services at the maximum size allowed 425 x 425 mm. These are not genuine single circuits but panels made up of many smaller circuits. To get around our specified maximum panel size 350 x 250 mm, the individual circuits on these oversize panels are not profiled out. In that way the users can describe the panel as a single circuit, though we know, of course, that they will subsequently cut out the individual circuits. This practice raises two serious issues. First it impacts on the overall efficiency of the pooling service. To keep prices down for all our customers we need to use as much of each pooling panel as possible. The more customers’ orders we can produce for a given area of material, the lower can we make our prices. But a panel 425 x 425 mm means that the rest of the pooling panel is wasted. That’s one reason why we set the maximum customer panel size at 350 x 250 mm (the other is that this is also the largest standard size panel used on many or most automatic assembly machines). We allowed a maximum circuit dimension of 425 mm to give maximum flexibility to our customers, knowing that very few actually need individual circuits 425 x 425 mm. Second, it is likely to produce less good PCBs. 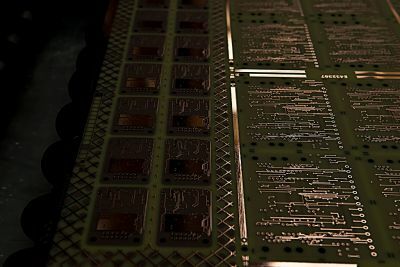 Putting together panels with several different circuits on them requires skill and experience to optimise tooling and to achieve a good copper balance on each side and side to side. We use sophisticated software to calculate the plating index which measures how well the copper is balanced. When we apply this to these large combination panels, in most cases we see a very poor copper balance with significant areas of over- and under-plating, reducing the quality of the finished circuits. To avoid these issues we have decided to set the maximum size of a single circuit on our pooling services at 8.75 dm2, the same area as our largest eC-registration-compatible panel 350 x 250 mm. You can order larger boards up to a maximum in one dimension of 425 mm, (e.g. 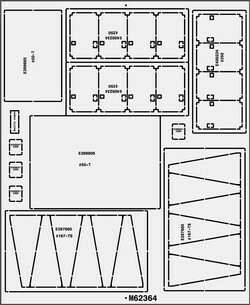 425 x 100 mm) so long as the total area is not more than 8.75 dm2. 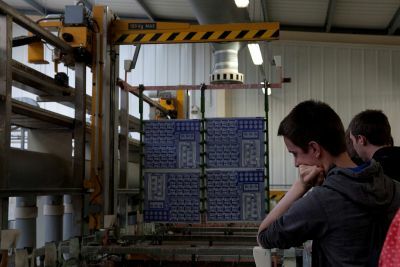 The largest panel size on the pooling services remains 350 x 250 mm whether panelised by Eurocircuits or by the customer. Further it is our policy that all customer panels prepared by us according to the Eurocircuits panel rules are eC-registration-compatible (maximum 350 x 250 mm to fit the eC-equipment). If you need a single circuit larger than 8.75 dm2 or a panel larger than 350 x 250 mm, then upload it as an inquiry in On demand. 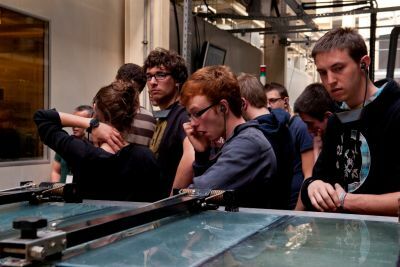 We will check that it is falls within the parameters of good production practice. If it does, we will send you a quotation. If not, we will make suggestions to improve its manufacturability. 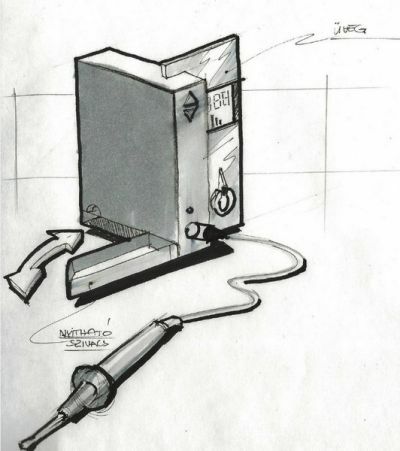 eC-solderstation, the next item in the eC-prototype-equipment range? 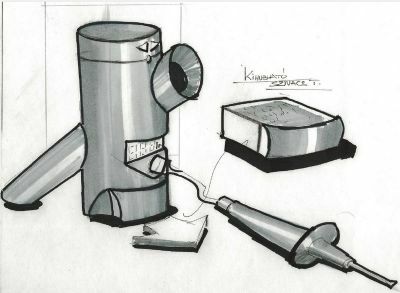 Why would we develop a solderstation? 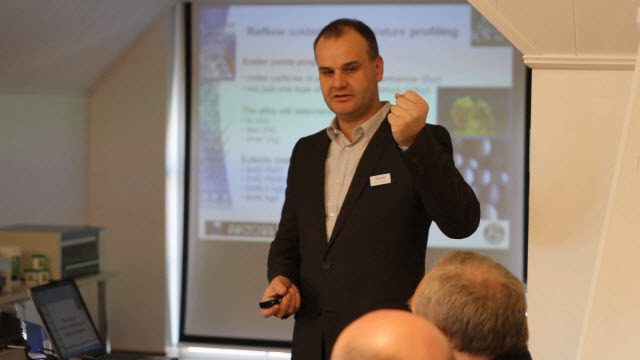 During our recent seminars on reflow soldering we had many questions about hand soldering as well. Of course there are many good hand soldering systems in the market today. But we would like to offer a soldering station designed specifically to meet the requirements of our prototype PCB customers. This will complement our eC-reflow-mate and give you a complete solution for soldering most components onto your board. 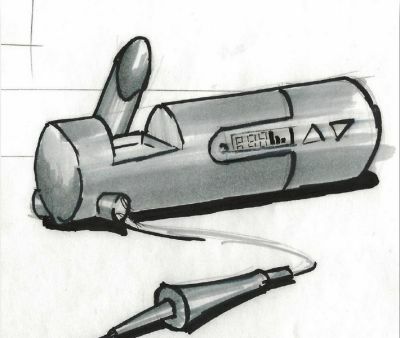 Having our own hand soldering tool will also make our training sessions and seminars on soldering technology and practice that much more comprehensive. What do we expect from a good solderstation? These are all part of the development plans for the eC-solderstation. Have we missed anything? If there are other features which you judge to be important please add them in the Comments section below. 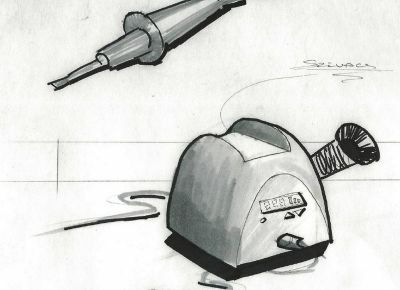 How will your next eC-solderstation look like? As many electronics engineers have their private lab or work from their office, we know it”s important what the new tool looks like. 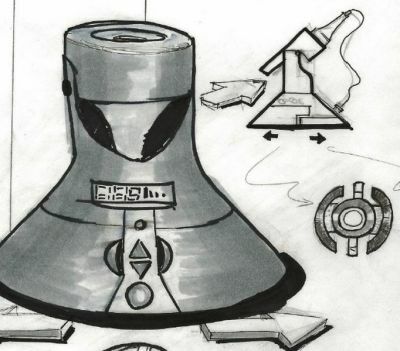 We contacted a design office to work out some concepts based on our ideas. We would like you as users to choose the concept you want us to develop further. Some concepts will be more challenging than others to realise, but that will not stop us trying. https://www.eurocircuits.com/wp-content/uploads/blog/saca-ms-de-eagle-cad/no-preview-available.jpg 600 600 Luc Smets http://www.eurocircuits.com/wp-content/uploads/2016/07/eurocircuits.png Luc Smets2012-04-24 00:00:002018-05-14 16:22:24eC-solderstation, the next item in the eC-prototype-equipment range? 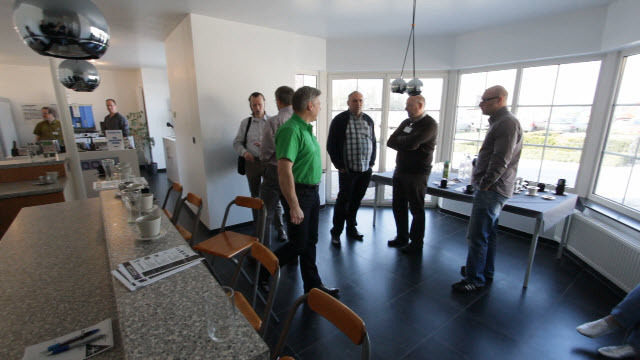 Overview of our first seminar 22-03-2012 and dates for future seminars. We started with a warm welcome and the registration of our participants accompanied by a cup of coffee. 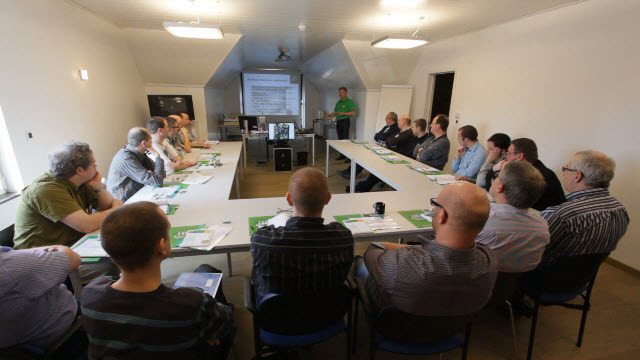 19 out of 20 preregistered participants found their way to ARCOSS for our first seminar on reflow soldering of SMD PCB prototypes. Dirk Stans spoke a word of welcome and gave an overview of the planning for the day. 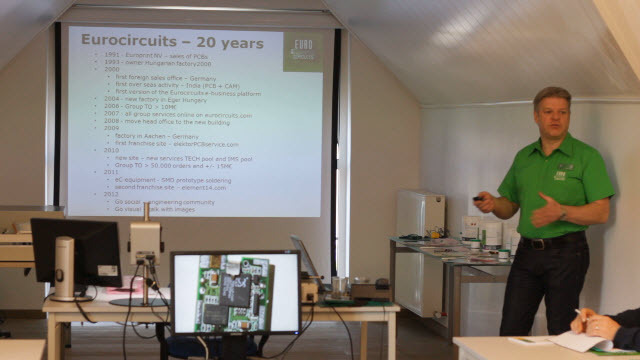 Dirk continued with the Eurocircuits history for the last 20 years followed by a brief overview of Eurocircuits services. 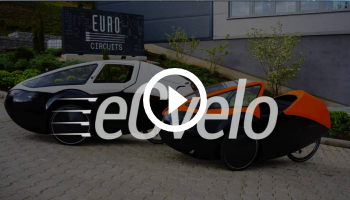 The introduction of the eC-prototype-equipment was the next item on the agenda. 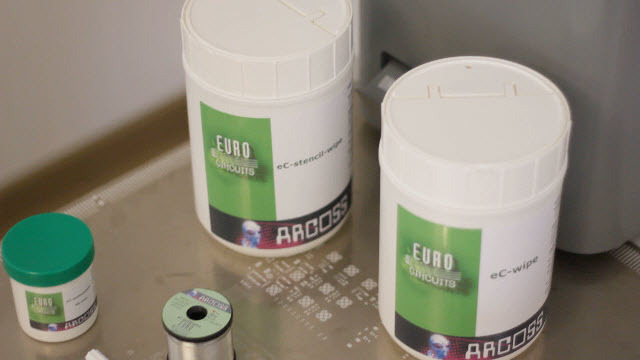 Here Dirk explained why Eurocircuits have entered into this venture and explained the two machines eC-stencil-mate and eC-reflow-mate and their specification in detail. Special focus was laid on the difference between reflow chamber soldering and its solder curves and reflow soldering in a throughput oven. 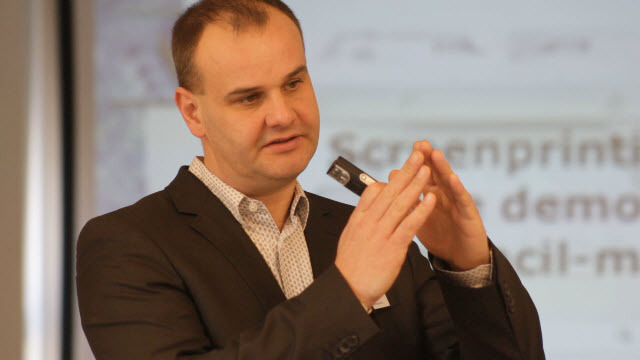 Next Ben Verwaest, MD of ARCOSS, explained the process of reflow soldering with all its phases in great detail, accompanying his exposé with many practical tips and do”s and don”ts. Ben also explained the correct use of the screen printing process and the materials and consumables to be used. 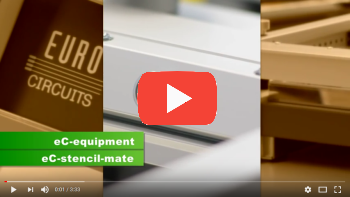 This led into an explantion of the specially developed eC-kits of consumables and tools for every function in the process: eC-stencil-mate-kit, eC-reflow-mate-kit, eC-equipment-starter-kit and the eC-ESD-kit. Lunch time. The company ARCOSS pleased the group with a nice sandwich lunch. As the weather Gods were favoring us with some nice sunny skies, we could enjoy it all outside on the terrace. After lunch, it was Uwe”s turn. 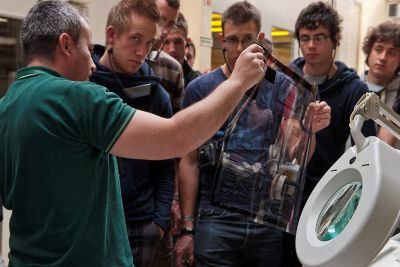 Uwe Dörr, our application specialist for the eC-equipment and project manager for the development of the eC-equipment, demonstrated the screen printing with the eC-stencil-mate. Ben then showed the quality of the printing under a microscope and proved that he still possesses a pair of skilled hands by mounting the components with tweezers. Some customers participated in the population of boards as we made more than one. After that only the reflow soldering with the eC-reflow-mate remained to achieve a finished assembled prototype board. This went smoothly convincing all of the soldering qualities of the eC-reflow-mate. The next part was dedicated to the practical skills of the ARCOSS team. 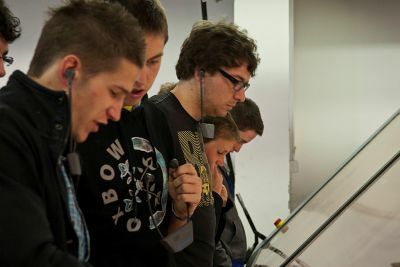 Hand soldering of a fine pitch PQFP-208 pins gull wing component made quite an impression on the participants. The ease with which Ben Verwaest soldered this component to the board with a mini wave soldertip left an impression and convinced people this was not rocket science but something of which one should learn the practical tricks and then start doing it. 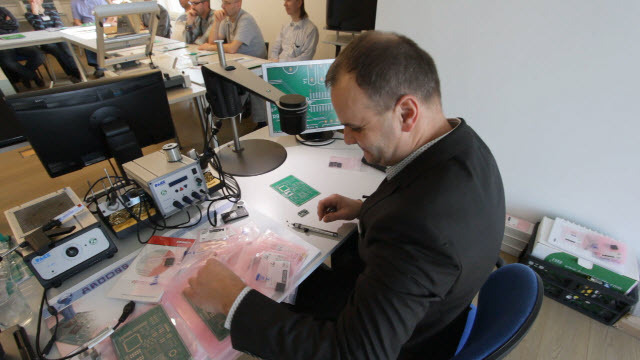 In the second part, the BGA soldering of individual components, ARCOSS application engineer Sven played the main role. 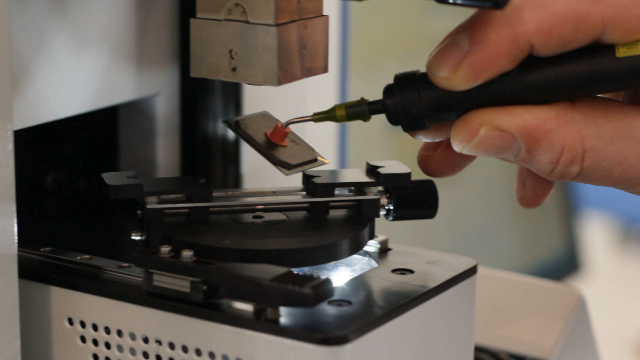 Sven used the PACE solder and rework BGA/QFN station to perform the job. All was inspected with the companies X-ray machine, which by itself made a good demonstration of what is possible with that technique. 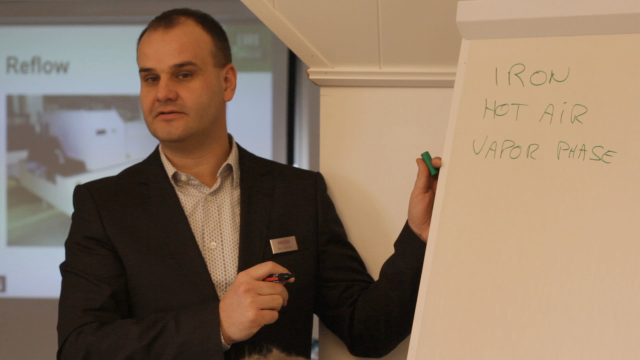 All together it proved to be a useful day which brought us many positive and useful feedbacks. This positive feeling and the fact that we already had more candidates for attending the seminar than we had available places led us to decide to repeat this seminar another 3 times. The dates we planned for this are the 15th, 22nd and 23rd of May. Registering for any of these days can be done using the registration link below which will open a registration page and form. Please fill in your details and the day of your choice. Please use the form to register as it will help to smooth the process and keep an overview of who registered when. 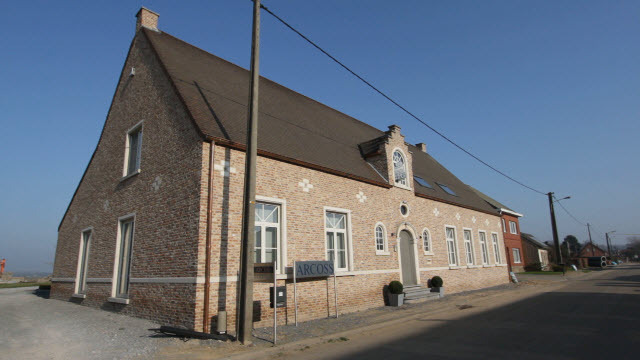 The places for each day are limited to 20 and are assigned on a first come first served basis. The limit of 20 participants is of a practical nature and helps us to keep the quality of interaction with the audience high. 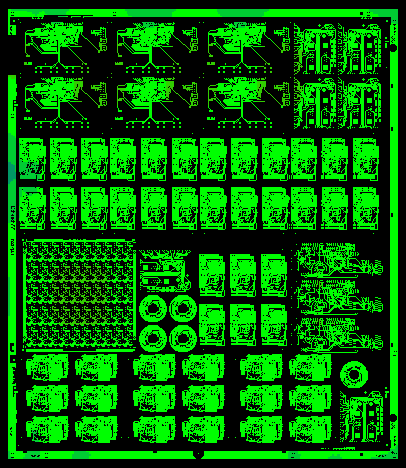 PCB Visualizer is Eurocircuits” latest added-value PCB service. Upload your data for an order or just a quotation. 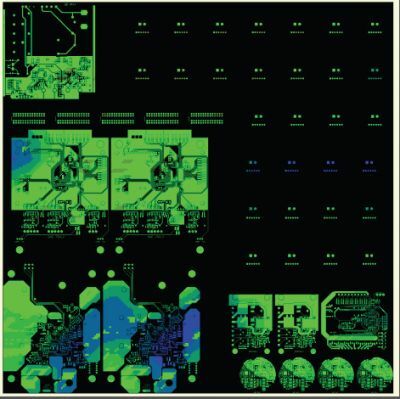 In seconds the new software will display every layer of your PCB just as it will be produced. Instantly check each layer to make sure that it is what you need. Check that all the data is present and that the stack-up is correct. No need for a Gerber viewer. 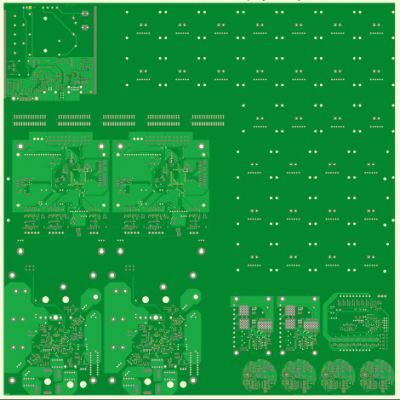 PCB Visualizer confirms your CAD output in realistic colours with full pan and zoom functionality. 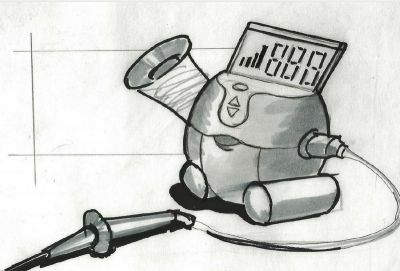 Of course, our engineers check your board data 100% before we put an order into production or give you a confirmed quote. But if a quick glance shows you something that needs changing, you can correct it and upload new data and minimise lost time. 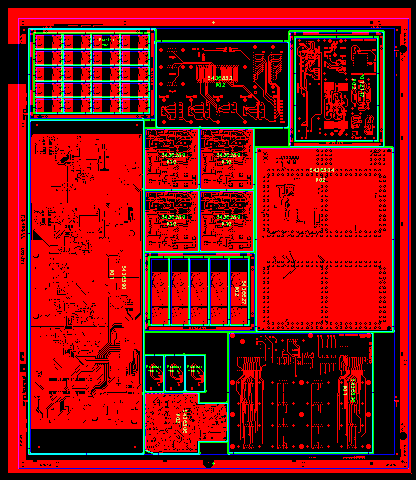 The first version of PCB Visualizer will be live online shortly. 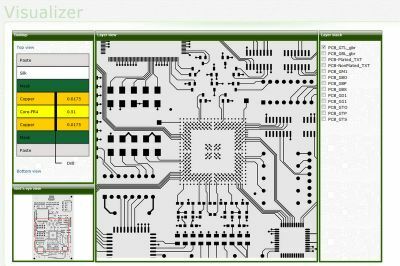 There will be new functionality added over the next few months to make buying boards from Eurocircuits even easier and even faster..
What else is new for 2012. Faster PCB pricing and ordering for the first-time user. Get immediate prices online for all our pooling services without registering as a user – and store your prices in a basket for later ordering. Or order at once – your order goes straight into production with no administration delay. New Design For Manufacturability (DFM) tool. An even copper density ensures optimum plating quality.Our new plating simulation tool can help you to achieve this. Use our “Place Inquiry” option and our engineers will produce a full manufacturability report on your board including a copper density visualisation map. DFM analysis can cut board costs up to 20%. New technical support resources. 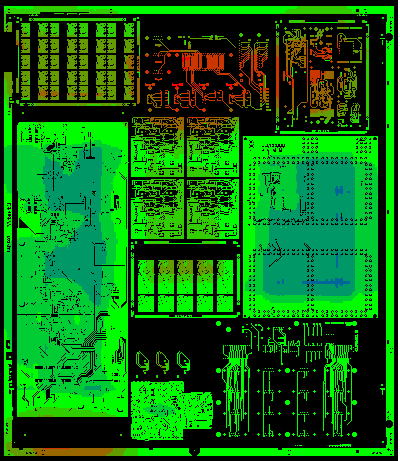 The “PCB Design Guidelines” document is downloaded more than 30,000 times a year. 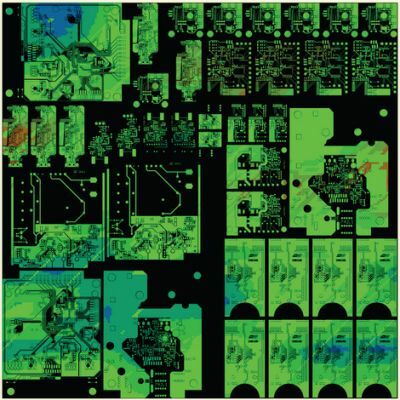 Now we have added moretechnical papers as well as technical blogs and videos to help you design more robust and lower cost PCBs. New bench-top reflow soldering equipment. We will show the latest models of our eC-stencil-mate solder-paste printer and eC-reflow-mate reflow oven, upgraded after feedback from more than 200 users in first 9 months of sales. What’s old on the stand? Always a warm welcome from our PCB and reflow-soldering experts ready to show you all the new features and answer your questions. Our well-established order pooling services keep your costs down without compromising quality or delivery. We offer the widest range of pooling options including aluminium-backed and fine-line PCBs. See us on Stand 131 at National Electronics Week, Hall 2, NEC, Birmingham 18 – 19 April 2012. Can”t make the show? Visit our homepage to check out the new features or contact Patrick Martin on 07834 281514 or atpatrick.martin@eurocircuits.com. Analysis : we have checked your data to make sure that it complies with the service you have chosen. If we have found any production issues we have provided you with detailed feedback. 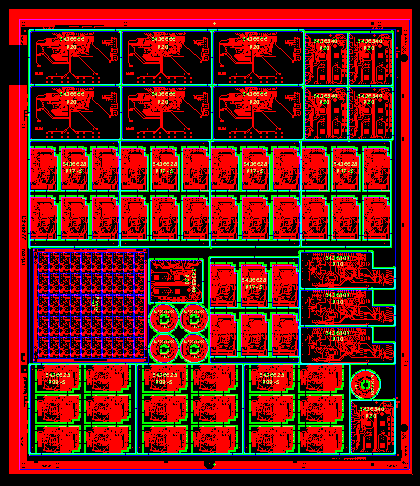 Single Image : we have rechecked all layers and made them ready for production. We now have a stack of orders that are ready to go into production. Our business model is based on “order pooling”. 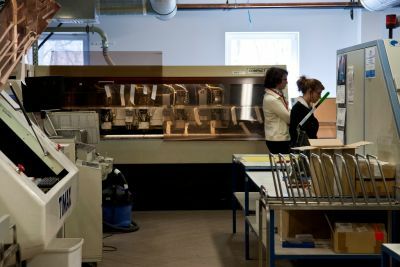 We make our production more efficient by processing several different orders on the same production panel. More efficient production means lower prices for our customers, especially for prototype and small batch orders. Which orders can be pooled together? This depends on a lot of factors, and finding the right balance is our daily challenge. Delivery term : we separate rush orders from standard delivery orders. If we put both on the same production panel we could find that all panels have rush orders on them. If every job becomes urgent, production efficiency goes down and our delivery performance is affected. Order size : we keep large and small orders apart. The higher the number of panels in a job, the longer it takes to process. Production planning becomes less flexible and again we risk deliveries. 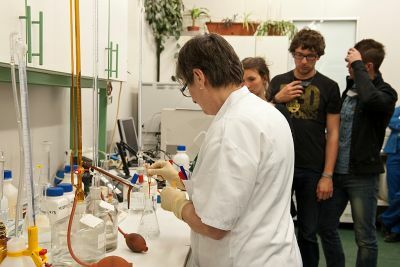 Copper distribution : we discussed this already in our earlier blogs about our new plating simulation tool and the Elsyca Intellitool Matrix plating project. We need to be sure that the designs we pool together don’t reduce each other’s plating quality. Classification/complexity of the boards : combining complex jobs with simpler jobs means that the final panel is more complex than it need be and so more expensive to produce. That’s why we have two different pooling services ‘STANDARD pool” for standard boards and “TECH pool” for more complex boards. Technology: some technology options clearly can’t be combined with each other, for example different materials, copper weights and build-ups. In other cases combinations might reduce production efficiency or quality. For example we could in theory combine boards with different legend colors on a single production panel. In practice this would need two printing processes and two curing stages. 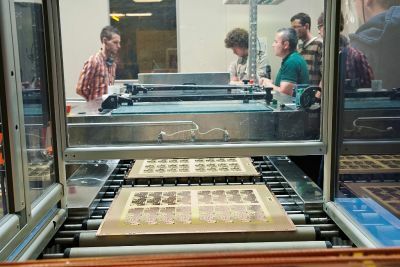 We would lose time at the print stage and risk the quality if the panel went through too many heating/cooling cycles. The final decision day by day on which orders are combined on which panel is made by highly skilled and experienced engineers. They have a growing number of software tools to help them to make the best decisions, and we are investing a lot of manpower and resources to develop even more powerful tools for the future. 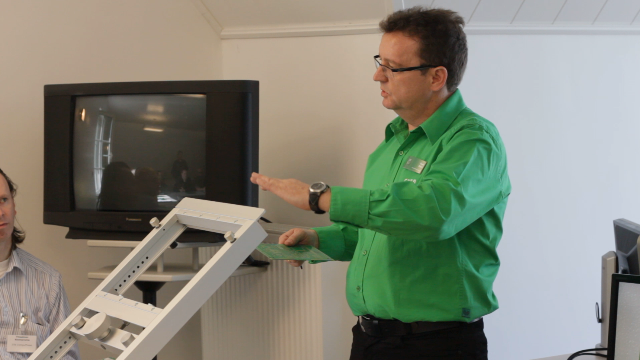 Once the engineer has chosen the orders for the panel, how do we make it ready for production? Run a Drill Tool Reduction: on pooling panels we remap all drill sizes larger than 1.00 mm to new tool sizes with a step of 0.10 mm rather than 0.05 mm – provided, of course, that we can still maintain the tolerance specifications of the finished hole size. This can reduce the number of different drill sizes needed by up to 60%, which in turn reduces total drilling times and so cuts cost of your PCB. Add any customer-specified markings to the boards on the panel, for example UL markings or customer-specific date-codes. Add different test coupons to the panel for inline quality checking. Together these coupons contain specific features which allow us to check all process steps and make sure that the panel meets all production specifications during and after the production. Add specific galvanic compensation patterns (“robber/thieving bars”) to the open panel areas. This optimizes the final plating results and ensures that after plating the copper thickness in the holes and on the tracks is within the production specifications. 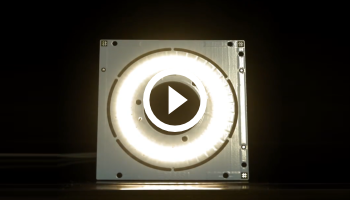 Add etch-compensation to meet the panel and production specifications. When we etch down into the copper the nature of the process means that we also etch away a small amount of copper to each side (“under-cut”). Etch compensation makes a small increase in all copper features so that after any under-cutting the feature size is as designed. This is especially important to maintain correct track widths. 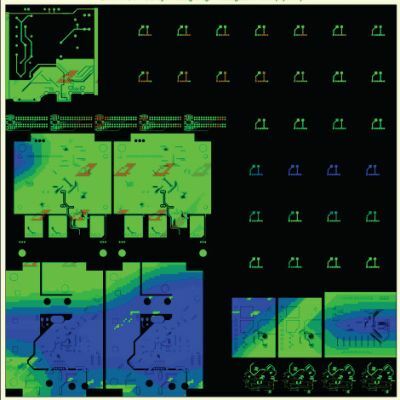 Calculate the other data we are going to need for panel checking and manufacture, like the total copper surface area or the copper distribution, information which we will need for calculating plating currents. 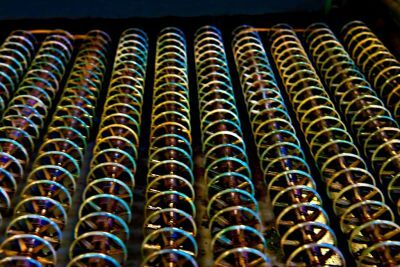 Perform a galvanic plating simulation to ensure a uniform layer of plated copper over the entire panel within the production specifications. 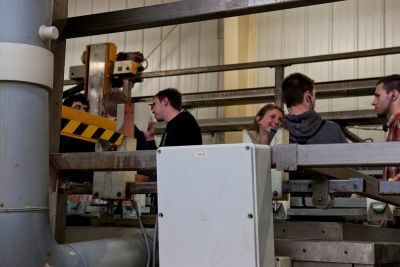 At this stage our engineers may move the circuits around on the panel or change the galvanic compensation patterns to get the best possible plating result. Drill optimization. For each separate drill run on the panel, the complete drill path – the order in which all the holes are drilled – is automatically optimized to get the lowest possible drill time. Routing optimization. For each routing operation on the panel, the complete rout path is optimized. 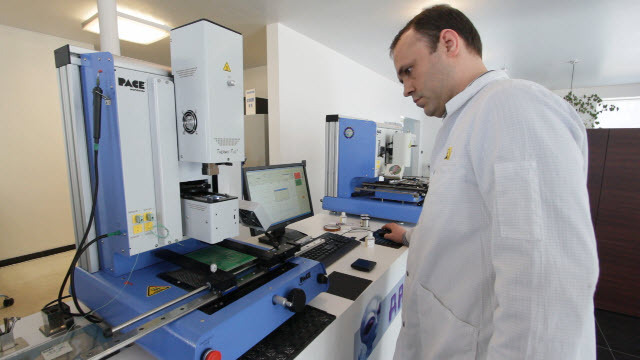 Here we rely on experienced production engineers to get the best possible combination of edge finish, mechanical stability of the panel during routing, and shortest routing time. Drill output: we generate drill output files for each drill operation required on the panel (plated, non-plated, blind, buried). These output files will drive our various drilling machines. Rout output: rout output files for all the routing and milling operations needed (board profiling, slots, internal cut-outs). The output files drive the routing machines. Plotter output: plot-files for our laser film plotters for all layers produced by photo-imaging (copper layers and soldermasks). Legend output: for legend (“component ident” or “silk-screen”) printing we use digital ink-jet printers. As well as the legend pattern the output files can contain an instruction that prints a unique barcode on each individual PCB. When tests are completed this will give our customers who want it the ultimate in traceability. Electrical test files for our different electrical test machines. 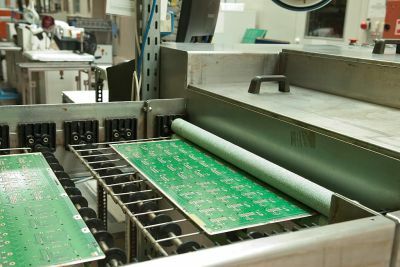 Production panels are electrically tested before the single images are routed out. 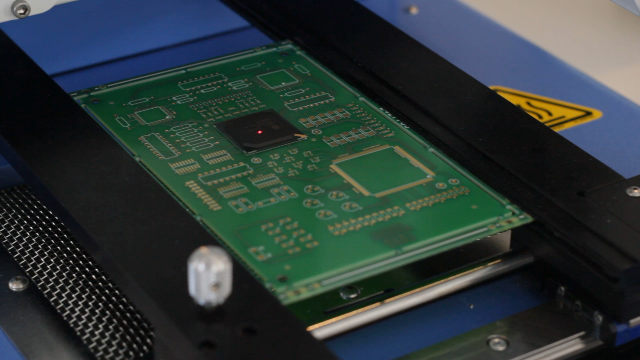 If needed a single board can also be electrically tested after final board profile routing. AOI (Automated Optical Inspection) output generation. 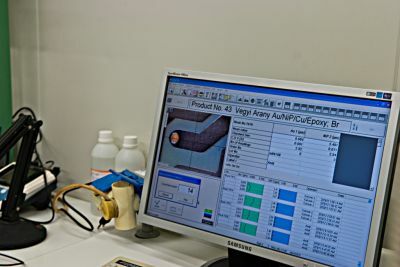 AOI testing is an automated optical comparison between the digital data supplied for the PCB and the actual copper layer we have produced. We AOI test all inner layers to detect shorts, opens and other faults which cannot be rectified once the board is bonded. We also AOI test some outer layers depending on the technology level of the panel. The complete production panel job and all generated output data are packed together in a structured zip container and uploaded to the system. The production panel is now ready for manufacture. 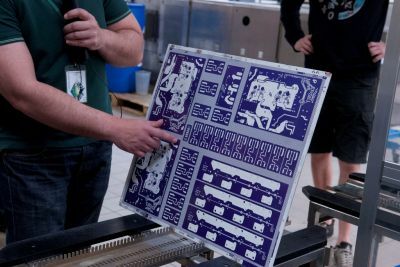 Our production planners decide which production unit is going to actually make the panel (Eurocircuits Kft in Hungary or Eurocircuits Aachen in Germany). The decision is based on the technology required, the size of the job, the delivery term and available capacity. 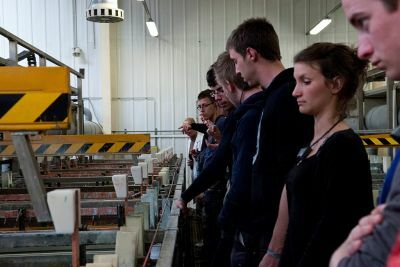 On March 29 we welcomed the students from the first master year Industrial Engineer from the HELMo ( Haute Ecole Libre Mosane de Gramme- Belgium). The initiative for the visit came from the students themselves. 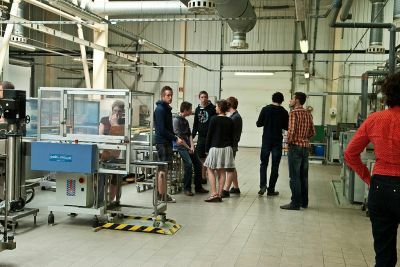 According to Thibaut WAUTELET,one of the students, The profile of our company really matches their interests and a presentation of our manufacturing process of printed circuits is a very good illustration of their engineering education so far. During the morning session the students followed a presentation about PCB Design for manufacturing and an introduction to the different steps in the PCB production process. After a small lunch break they had the opportunity to follow a tour through the production facility, guided by our production engineers. We were happy to see the interest of the students in our technology. The following pictures give an impression of the day.